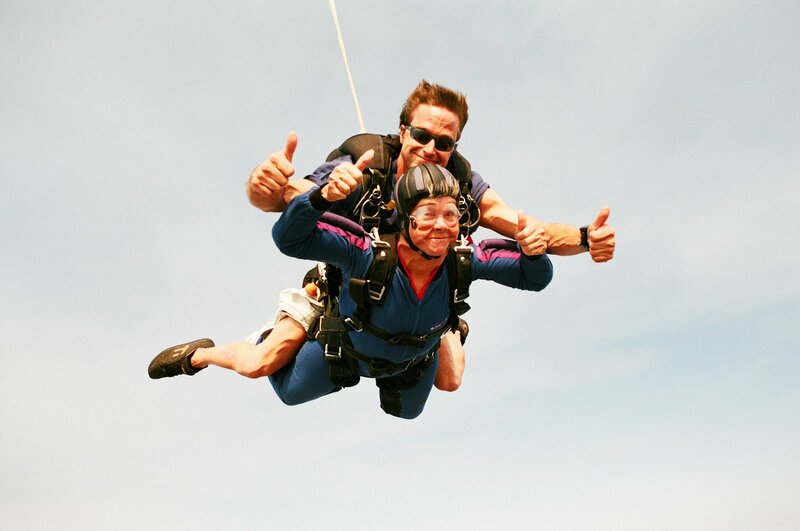 A couple of weeks ago, he and my grandma (his mom) went sky-diving for her birthday. Isn’t that great!? 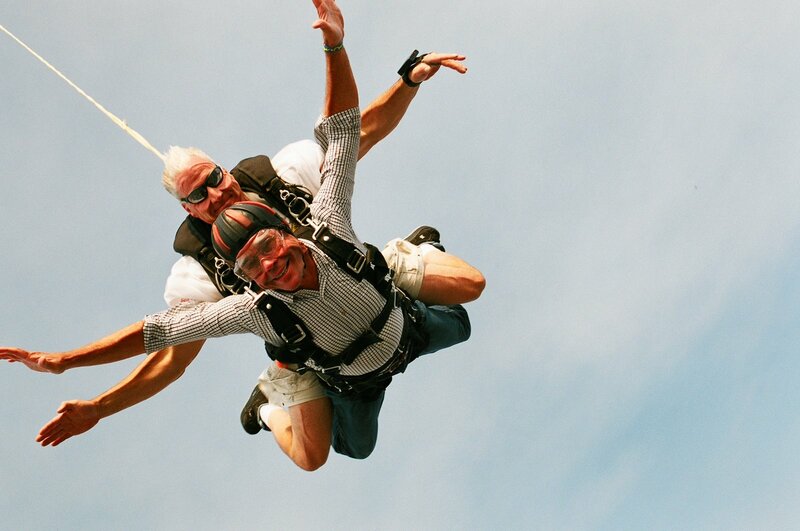 I love that I have a grandma and a dad who are willing to jump out of an airplane. That’s what it means to really live. Oh my goodness…I’m not surprised your dad did this. Remember on our ’06 trip, he climbed to the TOP of the Great Wall in freezing, cold weather. We sat and waited in the gift shop. 🙂 He is so brave. Your grandmaw is amazing and so brave too! Do you think you’ll try it? Oh my…..I wouldn’t even try that! Guess that’s what keeps them young!